I kinda went a little overboard for today's Clear and Simple Release Review. Today we are showcasing the new background stamps and I....well, like I said...went a little crazy! I have 3 cards to share. I guess I can't help it! I am loving these new background sets! I cut the flowers out using some new Clear and Simple Felt! Yes!! I said new felt!! :) Then I cut a very simple little spiral cut and then rolled them up into little buds. I took a needle and thread and did a simple stitch through the bottom to keep them secure. Super easy! I had to add in those adorable denim overalls from the Tiny Fashions set. I love the matching dies for the clothes in this set! SO fun! And my last card uses my most favorite background image from the new Circles Plus set. Lots of circles and polka dots people! This is a great set for your stash! Here is a list of the other DT girls showcasing the new background stamps today too! I'm sure they have some fun new creations to check out! This fun stack of colors will be available April 5th. Laurie, I am totally going to steal your idea for the felt flower. Hope you don't mind, but it is just too adorable not to make one for myself! You're a genius! Such fabulous work. Love all three. I love all three cards! I see what you mean about loving the backgrounds they are fabulous! That felt is yummy and I love the black, white, and Kraft! Love the graphic style of the first one and the divine use of flowers! Gorgeous. I am so making a rolled flower today... or six! And the overalls are so darling with that paper. Great last card, too. Love how you blacked out little spots in the center. So cool and graphic. Nice pics again too! You are on fire, girl! Beautiful cards! Love how you used the flower die to make a rolled flower--great idea! 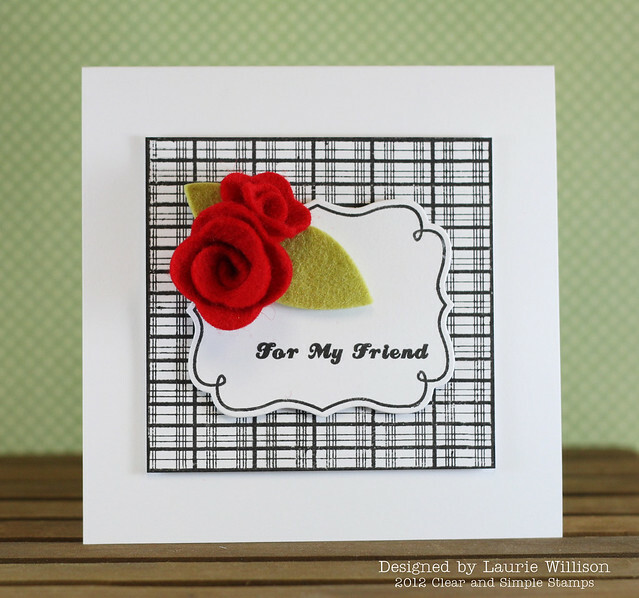 Great cards and beautiful rose buds! Wow, you really showcased the release! 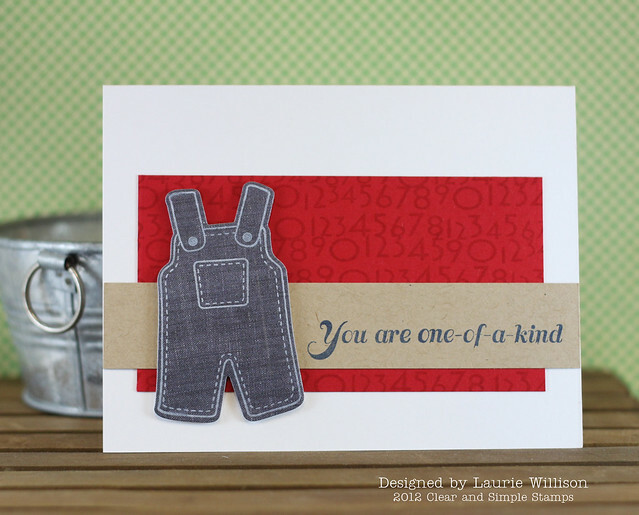 I just love those little overalls, and the first card with the black, white, and red is stunning! So beautiful!! Love the pop of red of your flowers and the kraft with the black and white...stunning...all just so lovely!! 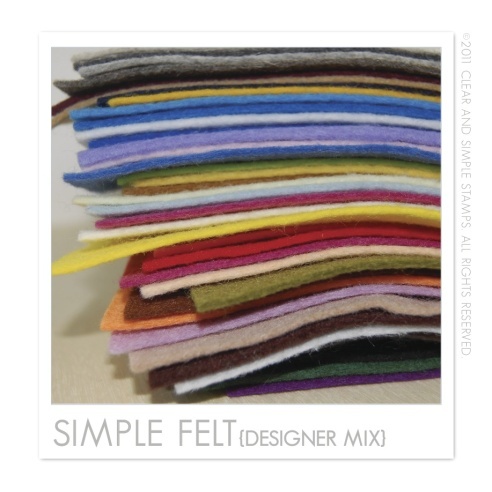 Holy cow, that is A LOT of felt!! Cool idea to make the rolled rose that way! 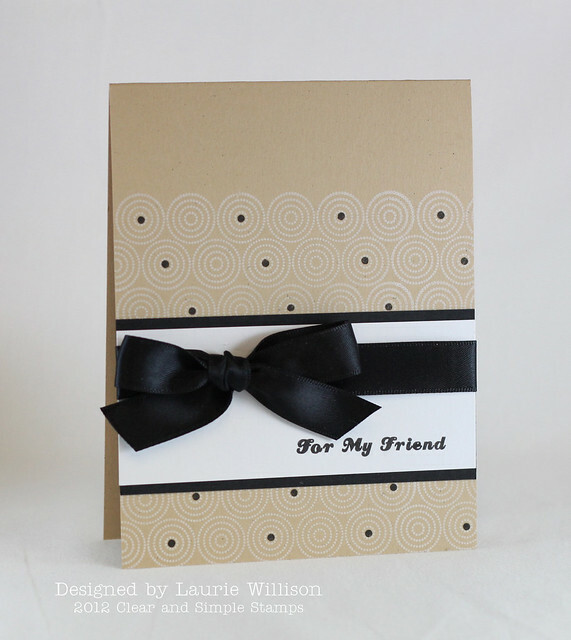 And I love the circles border you used on the last card! Oh my, those are three great cards! You are really making me regret not ordering the plaid set, that looks so fun!